How Is A Claim For Car Accident Injuries Affected By A Pre-Existing Injury? When someone with a pre-existing condition gets injured in a car accident, the defendant’s lawyer will be quick to raise all sorts of questions. That is why it helps to have a good personal injury lawyer in Orillia in your corner. Was the accident-cause injury a new one, or was it a re-injury to one that already existed? If the answer to that question is “yes,” than the size of the plaintiff’s award will probably get reduced. Did the new problem aggravate an old one? It may be necessary to find an expert witness, in order to provide a satisfactory answer to that inquiry. How much time has passed since the victim sustained the previous injury? Maybe the injured victim must wear an implanted device, in order to control a medical problem. In that case the defendant’s lawyer would have a right to ask this: How much time has passed since that particular device was installed or corrected? Factors that a victim with a pre-existing injury should consider, when planning to hire an injury lawyer. It is best to find an injury lawyer that will be working with you, and not treating you like someone that knows nothing about your disease of disorder. Whatever lawyer you hire should be ready to represent you in court and that usually entails contacting a medical expert, someone that will agree to sit in the witness stand. If you have a pre-existing condition, or if you got injured in a previous accident, take the time to find out how much experience any consulted lawyer has with tracking down and contacting a reputable expert in the medical field. Understand what could happen if you hire an injury lawyer that feels inclined to accept the veracity of the statements made by the opponent’s lawyer. You need an injury lawyer in Orillia that will welcome the opinions expressed by an expert witness. In other words, you should hire someone that will seek out useful testimony, with respect to the medical issue that you had to deal with even before the accident. What could happen if you fail to follow the advice given above? You might have to work with a lawyer that hesitates to take your case to court. The same lawyer might favor the idea of accepting a lower offer, in order to avoid the necessity of presenting an argument in a courtroom. How can you use the consultation to judge a lawyer’s attitude toward taking a case to court? 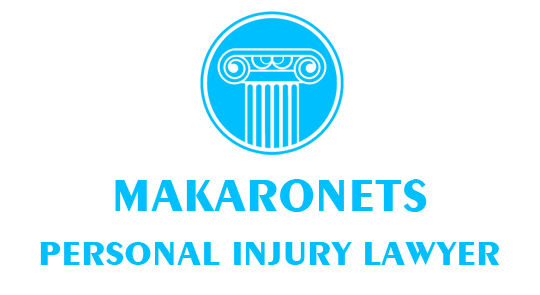 Ask the consulted injury lawyer how many times he or she has taken a case to court? Then ask what percent of those same cases did he or she win. Also find out if the jurors heard any testimony from an expert in the appropriate field of medicine.